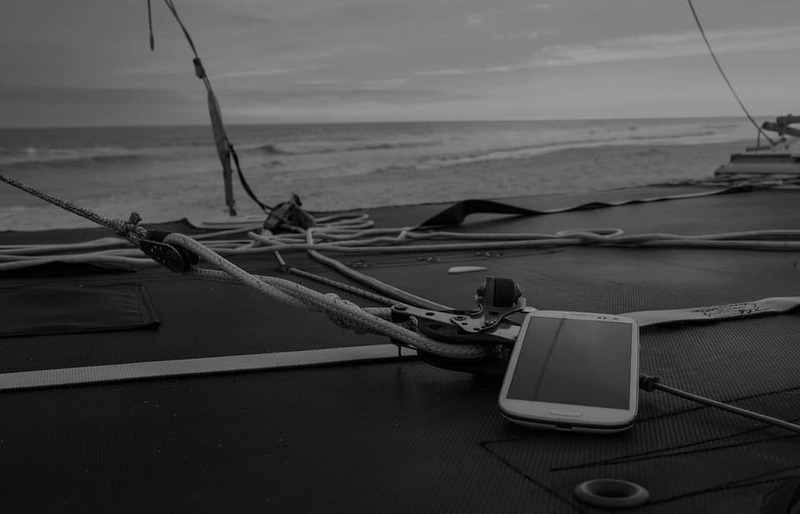 How can I ensure that my mobile phone is at my service and not the other way round? When and how do we introduce our children to using smartphones and tablets? All users repeat these types of questions to themselves more and more frequently, and the messages we receive about so-called “mobile-addiction” are becoming more insistent. However, it is clear that they represent an instrument (a very powerful one, for sure) whose use (good or bad) falls on us, the people. As with a sharp scalpel, a syringe or a car, the mobile phone is a great help to us yet, at the same time, it can be dangerous if we do not know how to use it. We have assumed that it is not a passing trend and that we cannot look the other way. So, if we want to take advantage of the mobile and let ourselves be captured by it, we must be aware that we have to make an effort to be digitally competent or, at least, learn to get along with it, especially if we think about children and teenagers. That is, a smartphone does not improve the intelligence of its user; rather, it’s the opposite. The point is not to moralize, but simply to apply rationality. Just as their users’ self-esteem and loneliness issues cannot be attributed to smartphones, so it is also illogical that just by knowing how to use their interfaces we think that we can already control them, when they are devices that are transforming the way we communicate, love, play and work. Right now. In front of our very eyes. They are changing almost everything and sometimes we expect to manage it, and that minor children can manage them, spontaneously and thoughtlessly, through pure intuition. Would we do the same when driving a car or with the Highway Code? And is it true that it is not the cars’ fault that there is a kamikaze driving on the wrong side of the motorway? That is exactly the point, learning to drive better on the Internet and, specifically, with mobile phones, because they accompany us from when we get up in the morning until when we go to sleep at night. In Cuatroochenta, where we work on the development of apps, and we like to boast that they are useful and helpful, we are concerned with this issue. 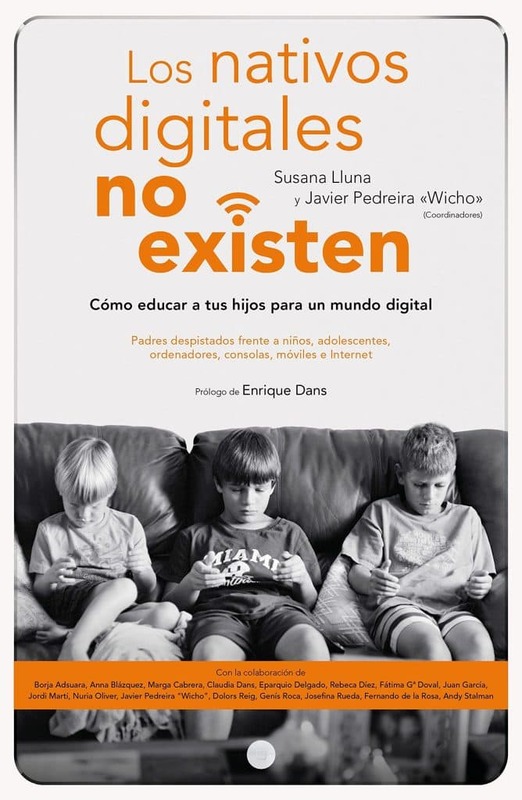 It is a question that has been very wisely analyzed by Susana Lluna and Javier Pedreira ‘Wicho’, coordinators of “Los nativos digitales no existen” [Digital Natives Do Not Exist] (Deusto Ediciones), a book which emphasizes that so-called millennials can end up being, actually, digital orphans, since their parents are assuming that they learn to manage by themselves, spontaneously, as if they were equipped with an innate form in their DNA. Just like that. Empathy. We are people, not only mobile phone users and, even if it seems obvious, it is important to keep this in mind, to not lose the ability to put oneself in the place of another person. To know how to learn, also on social networks and instant messaging apps, is very important. Beyond the level of activity and the role we play, we know dozens of examples that confirm that we are owners of our silence and slaves of our words. Being practical and productive. Among the things that we would not be able to do without mobile apps, it is advisable to favour those that make us save time and simplify things: personal organisers and task planning, apps to improve bank transactions, to use public transport or parking meters, to scan QR codes or documents … and the best of all: to go shopping without even moving. Getting closer when we are far and not to distance us when we are close. The Internet heavily improves social life. According to The Society of Information in Spain 2016 (SiE), 55% of Internet users claim that thanks to the Internet, they have been able to connect again with relatives and lifelong friends, while 35% have found professional colleagues. We all have wonderful experiences of reunions and, for example, Skype is perfect at eliminating such distances. On the other hand, if you are at a work meeting, the mobile must take second place in order not to interfere because, if you give preference to a chat or a call, the other person will interpret that it is easier to communicate with you in these ways than personally. Support to lead a healthier life. There are apps which help us to sleep the right amount of hours or to stop smoking, as well as the classic ones to register sporting activity, such as Endomondo or RunKeeper. But, especially, the Internet and social networks have become an effective tool in making consumers aware and putting pressure on environmental problems or the quality of food, up to the point of making brands reacts. Empowerment obviously affects all social spheres. Having fun and improvising. As well as watching hilarious videos and GIFs, listening to music, podcasts or the radio on mobile phones is a habit that almost everyone has internalized, often combined with other functionalities. You can also check maps, trips, trains, planes, rental cars, housing, bars, restaurants… In fact, according to the report mentioned by SiE, 79.5% of users between 14 and 19 years old make spontaneous decisions on the fly related to leisure thanks to information that they receive on their mobiles. Getting informed on reliable sources. Why do you settle for the first results shown by a Google search? Why do you not ask yourself who has written it, why and on what sources it has been based? Why do you not filter, for example, by date? Besides avoiding resources that base their business model on false news and using those that offer more guarantees and rigor, it is essential to be able to explore by Internet with an open and critical vision, not just to confirm preconceptions. Curiosity, beyond staying at a superficial level, is a good navigation guideline. Learning to manage ourselves and help young children. If your 10-year-old daughter uploads videos of herself doing impossible playbacks to Musical.ly, it will always be better that you know this social network, how it works and the content that she can access to help her and prevent her rather than stigmatize her or ignore the issue. This is the great lesson of the aforementioned “Los nativos digitales no existen” [Digital Natives Do Not Exist]: we cannot keep on thinking that the learning of technology is something innate for the new generations. Between the “tablet-resource so that they do not cause any trouble” and technological isolation, there is an intermediate path, which is probably the most difficult and the one which generates more work for adults, which is based on rolling up your sleeves, dedicating some time to it and accompanying them. That is the reason why questions like “what is the recommended age to buy a mobile phone for my son?” are not easy to answer. According to the INE, 50% of 11 year old Spanish children and 95% of 15 year old Spanish children already have smartphones, but the response is unfailingly “it depends”. It depends on each child and their environment. Because also at school, at early ages, there can be a valid and reasonable use of mobile devices. And there even exists anti-apps as a resource to separate the sight of the screen. In any case, it is a good idea to consult suggestions that have been proposed to agree behaviour guidelines between parents and children, such as this “Contract for the good use of mobile phones, tablets and computers“, published by the State police in 2015 to establish rights and duties to anticipate it rather than have to treat it. Digital identity: coherence. On the Internet, we are what we publish; the photos we upload, the “likes”, my opinions, what I look for and what I share. What we do when we are online leaves a trace. And that trace can be tracked, for example, by a possible employer. To not burden our future, to not give an image that does not correspond with the reality or which, simply, does not interested us, we must take care of our digital identity. There are people who are skilled at creating an invented character on the network, just to have fun or to test others, but, generally, the most advisable thing is to be honest and coherent. And also to differentiate between public and private, as well as professional and personal environments: just a conversation on WhatsApp is not the same as your Instagram or Twitter profile, so Facebook has nothing to do with LinkedIn. It is recommended that teenagers are careful and start learning how to manage private profiles. Combating misconceptions. The Internet is neither intrinsically good nor bad; it is neither a gaseous naive or non-ideological entity, but rather the most powerful channel we construct and modulate amongst ourselves every day and which, precisely in this measure, will be more or less human and democratic. Videogames are not a geeky hobby, but rather an industry which generates more business than cinema or music. Youtubers are not all cool and funny; some are really uncouth and even commit crimes. Music and series are not free because I download them without paying. The photos that appear on Google Images cannot be used for my own purposes. I could go on and on. Knowing when to turn off your mobile phone: good manners. According to research by the University of Hokkaido (Japan), the mere presence of a mobile in a meeting between people can distract their attention and ability to maintain a conversation. Surely because of the potential of interruption that phones have due to incorrect use that, unconsciously, we all have all at some time done the same thing. It is not necessary to criticise yourself: until now we have been pre-schoolers in terms of the use of smartphones. But now the moment has arrived to internalize some behaviour guidelines that are simply based on applying good manners: when we go to a concert, the theatre or the cinema we should turn off our mobile phones; when we sit down to eat or have dinner, we should leave our mobiles; when I sit in the car to drive, I cannot be writing on my mobile… Just one piece of resounding information: 43% of European young people confess that they “WhatsApp” while they drive. Contributing to reducing the digital gap. After the people older than 65 years have also embraced the Internet through smartphones and tablets, people with fewer resources, and especially children, are those who still suffer from the digital gap. And this involves inequality of opportunities in the use of digital environments and socioeconomic barriers which can become insurmountable. In the absence of different governments taking the issue seriously, beyond the equipment of classrooms; there are NGOs who work to try to relieve this situation with different initiatives, such as Ayuda en Acción with Mak3rs, an interesting project of educational innovation with a technological base.